Training camp is the time to shake off the rust of the offseason and prepare for the long grind of the grueling NHL campaign ahead. Unlike the camps of yesteryear, it is not a time to work oneself into shape. Players who are not ready to go when the puck drops on the first day of camp will see their chances of making the big club evaporate. For players on a two-way contract, that can mean a big hit to their bank account. The average NHL salary is just under a million dollars, while pay checks at the minor league level have a few less zeroes on them. For Colorado Avalanche forwards Dominic Toninato and Sheldon Dries, and defenseman Mark Alt, this year’s training camp is a proving ground as they fight for one of a few precious roster spots not already locked up by established stars and free agent additions. For these bubble players, it’s a time to put up or shut up, even if that comes at the expense of one of their teammates. Dries had a strong AHL playoff run last year, potting 10 goals with the Stars. While establishing strong team bonds inside the locker room is an important aspects of any training camp, that can sometimes take a back seat as players look to prove they can contribute to the club. One way to grab the coach’s attention is by making a big hit, even if it’s against the guy sitting in the next stall over. 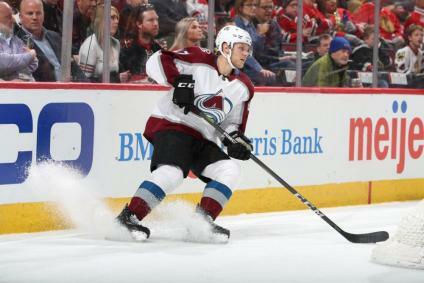 “It’s always tough being super hard on your teammates, but that’s what you’ve got to do,” said Toninato, who played 37 games with the Avs last season and is on the short list to be the team’s 13th forward come opening night. For Toninato, last season was a learning experience of dealing with the day-to-day grind of professional hockey. Coming out of a college schedule at the University of Minnesota Duluth with a docket hovering around 40 games, the Duluth, Minn., native almost doubled that number last year after playing 31 games in the AHL and 37 more with the Avs in his first professional season. For some college products, the sheer amount of more games takes some adjusting to, especially in their first professional season, with game nights no longer regulated to weekend dates. 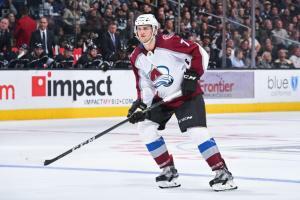 Toninato appeared in 37 games last season for the Avalanche but is still searching for his first NHL goal. Having spent time with the Avs means that Alt and Toninato are familiar with the daily routine in Denver and how the organization operates. They said that allows them to focus solely on what takes place on the ice. “It plays a big part,” said Alt, the Kansas City, Mo., native that could find himself the odd-man out on the Avs blueline with the addition of veteran defenseman Ian Cole. 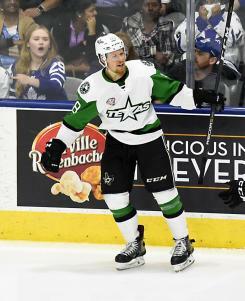 Despite coming off a strong rookie campaign with the Texas Stars, Dries feels he still has a lot to prove stepping into a new situation. A native of Macomb Township, Wis., Dries had 19 goals and 11 assists in 70 games with the Stars last season after serving as a captain at Western Michigan before turning pro. One thing he has going for him is speed, which is always welcome in any NHL locker room. Even though it’s only an hour’s drive between Denver and Loveland, where the Eagles play, it can be a long and lonely road for those who see their NHL dreams dashed. Those players who don’t stick with the Avs know they have to be ready when or if their name is called. Alt will likely start the season in the AHL, but has proven to be a competent defender when called upon. It’s a long season and injuries are a fact of life in the NHL. 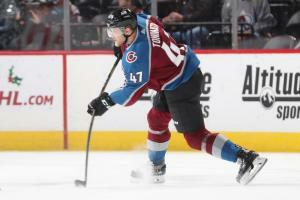 Last year the Avs had to deal with the loss of veteran players Erik Johnson, Patrik Nemeth and Nikita Zadorov. And with Nemeth and Zadorov wearing red no-contact jerseys at the start of camp, it gave Alt a chance to show that he has what it takes to step into the mix if the injury bug strikes again this season. “However it works out, I’m here, just looking for any opportunity,” said the former University of Minnesota blueliner. “I came to camp ready to go, I’m in shape. It’s what happens during the course of the season, whether it happens early, late, in the middle. Look at the end of last year with how things went." With a week remaining until the regular season, all three players are still with the Avs as preseason winds down. This is their time to make a positive impression so if they aren’t tabbed to the opening night roster, they’ll be one of the first called upon when Colorado needs reinforcements. Whether playing up the lineup or earning an increased look due to injuries, one thing is for certain. When the spotlight is on, all three players are determined to do whatever it takes to keep the bulb burning bright. Author's Update 10/3: Both Dries and Toninato made the Avalanche out of camp and are on the opening night roster for the 2018-19 NHL season. Alt will begin the year in AHL with the Eagles.